The energy institute (EI) is located in an attractive Grade II* listed Georgian building which was once home to the famous Victorian architect Sir Alfred Waterhouse. Sir Alfred Waterhouse set up his home and architectural practice in 1865. Two of Waterhouse’s most famous buildings are Manchester Town Hall and The Natural History Museum ‘a cathedral of nature’. 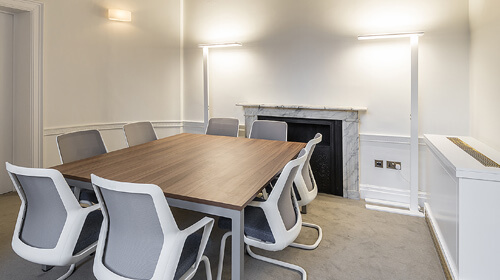 61 New Cavendish Street underwent a refurbishment which enabled the EI to showcase the retrofitting of an historic property with energy efficient features. 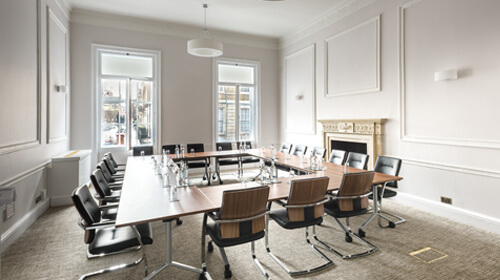 Members and external organisations are invited to hire the rooms to hold conferences, meetings and seminars. Our friendly and experienced staff can ensure all your venue requirements are catered for, each of our rooms are air conditioned and layouts can be adapted according to your own specifications. All rooms may be hired for sessions between 09:00-13:00 and 14:00-17:30 Monday to Friday (except bank holidays). Black cabs are normally freely available in central London. A taxi ride from Euston or King's Cross/St Pancras will take approximately 15 minutes, depending on the time of day. Journeys from other stations will take longer. Visit the Transport for London website for more information. 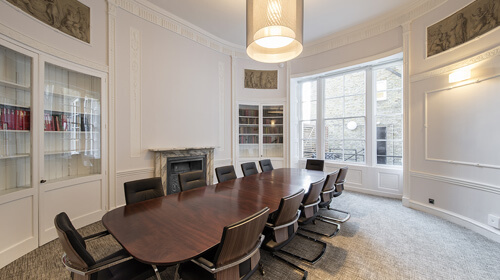 Members and external organisations are invited to hire the rooms to hold conferences, meetings and seminars. Our Friendly and experienced staff can ensure all your venue requirements are catered for, each of our room are air conditioned and can be adapted according to your own specifications. Please note requests for equipment (electronic or otherwise) must be made in advance as cannot be guaranteed if requested on the day. If cancellation is made after a confirmed booking, a 10% cancellation fee will be charged. If a cancellation has to be made within five working days prior to the booking, then a 50% charge be will applicable. The Council room is elegant with detail pillars and a stunning fireplace. 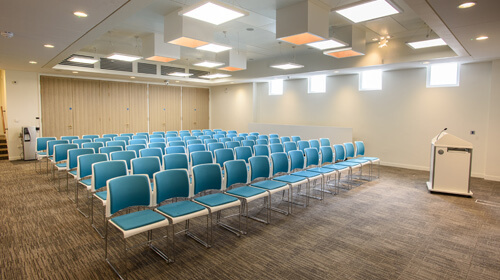 The lecture theatre is a bright modern auditorium. 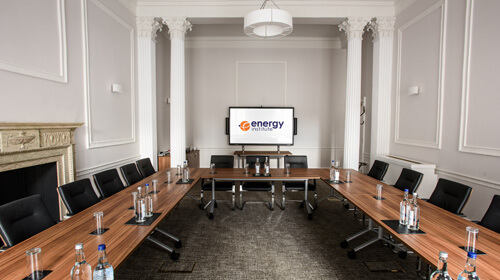 The Kelvin room features a high quality pendentive ceiling. Its central image is peace and plenty, and the surrounding cherubs represent the four seasons. 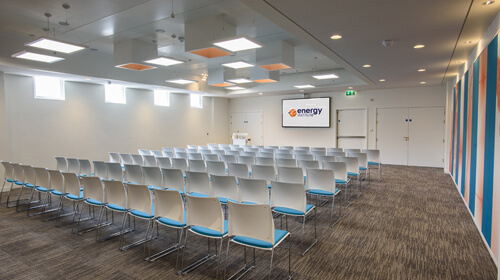 The Energy Institute can cater for a number of different situations whether it be a small group meeting or a conference in the lecture theatre. We provide options for breakfast or lunch, as well as seasonal buffets and we can also provide beverages to the room. Please click on the button below to download our catering menu in pdf format.